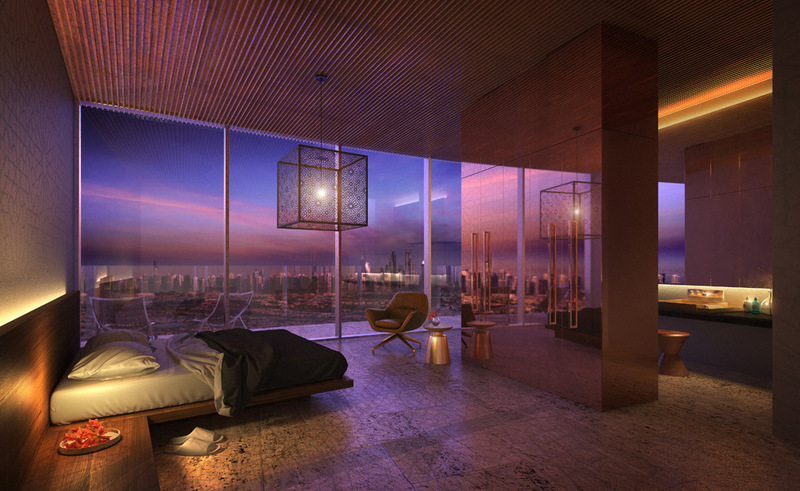 FIVE's second hospitality and residential project, FIVE Jumeirah Village Dubai, is scheduled for completion in 2018. 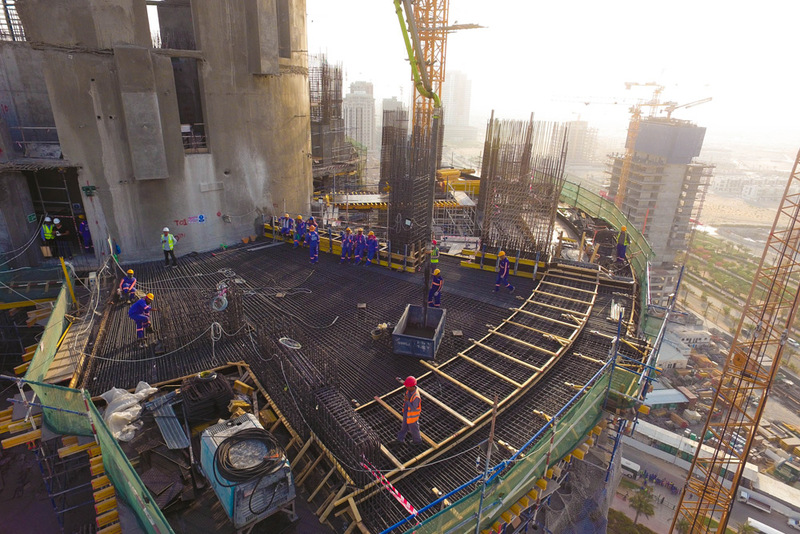 The luxury five-star tower will feature 247 hotel rooms and suites, 221 one and two-bedroom hotel apartments and 33 four-bedroom hotel apartments, all with private pools. Strategically located in close proximity to Dubai’s main arterial roads and a short drive from Dubai’s new Al Maktoum International Airport and Expo 2020 site, FIVE Jumeirah Village Dubai boasts excellent transport links across the city and beyond. The revolutionary design of the property, which was conceptualised in-house by FIVE, has been patented and registered as a trademark by FIVE in 168 countries, and has already won a string of industry accolades. 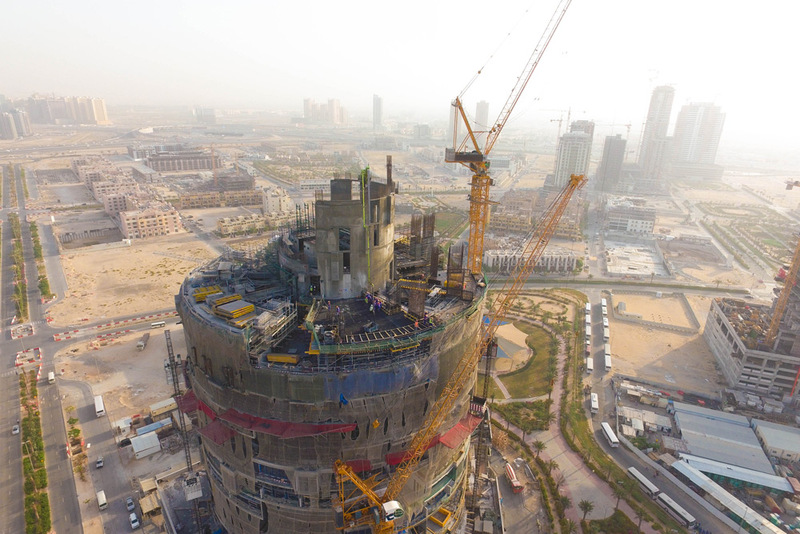 Awards include: Leisure and Hospitality Project of the Year 2015 at the Middle East Architect Awards; the Tall Buildings category at the 2016 Architectural Review MIPIM; and Best International, New Hotel Construction & Design and Hotel Architecture, Dubai, at the 2016 International Property Awards. 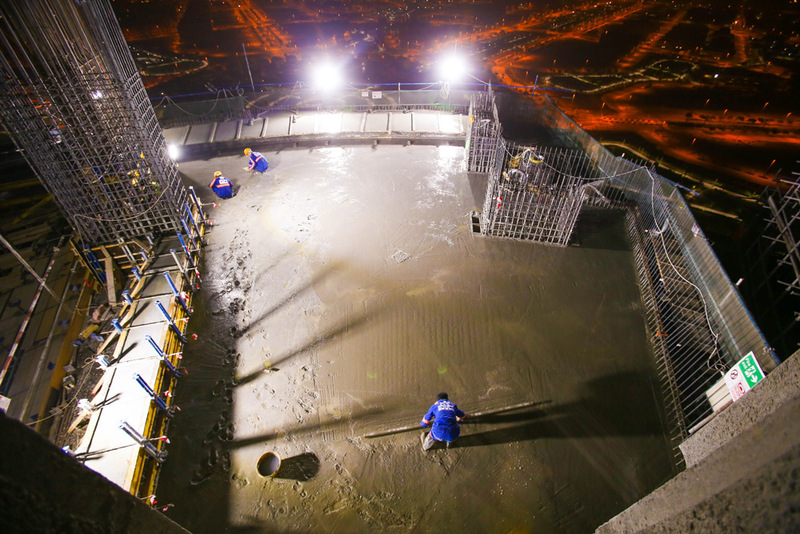 The FIVE Jumeirah Village Dubai isn’t just another tower in Dubai’s skyline. 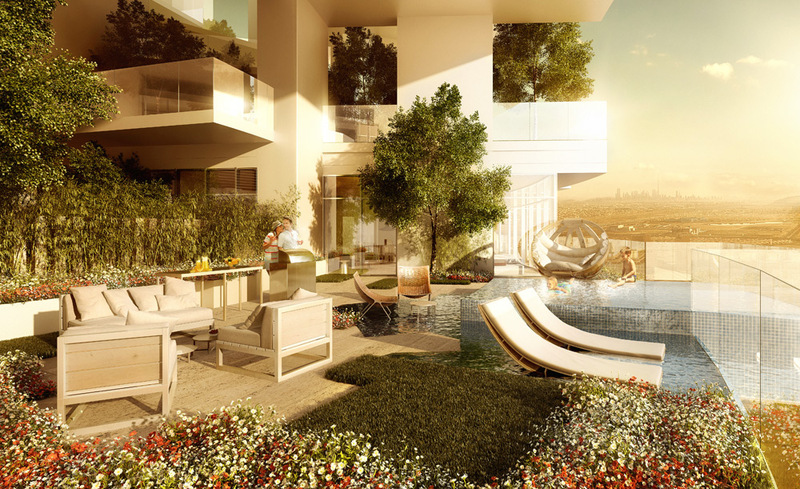 Its visionary design allows for each apartment to incorporate a vast landscaped garden and private swimming pool - even at a staggering height of 800 ft. The mastermind behind this one-of-a-kind design is our CEO of Real Estate Development, Nabil Akiki. Nabil conceptualised a rotating design that features innovative and intelligent architecture to maximise natural daylight and create warm and welcoming spaces that simultaneously conserve energy. The breathable architecture allows sunlight to shine through the core of the 60-storey tower while a vertical micro-climate with over half a million sq. ft. of flora helps to naturally maintain the temperature. Each apartment benefits from a sweeping 200-degree view of the dazzling city of Dubai and a remarkable 7:1 greenery to land ratio. The 271 sky-high swimming pools accentuate the garden terraces, providing a sublime place to pause and enjoy the uninterrupted views of the skyline below.